Crystal Martinez believes her future is set in technology. Now at STC, Martinez says she is pursuing a career as a telecommunications field technician. Virtual Machine (VM) technology, she says, enables her to work concurrently with operating systems like Windows 10 and Linux in order to troubleshoot problems. The Computer and Advanced Technologies Program at South Texas College offers a wide range of courses that focus on more than one operating system, and this is where VM technology is ideal. Available for decades on very large computers called mainframes, VM applications have been available on ordinary computers since 2005 when computer chip manufacturers Intel and AMD provided additional hardware assistance to their microprocessors in support of virtualization. Prior to widely available VM applications, if a software developer wanted to develop a program for different operating systems such as Windows, Linux, or Macintosh, the developer needed different machines to test the application. Using VM technology, a software developer only needs one physical machine and multiple virtual machines can be used to test the application. STC makes use of freely available VM software applications. Among the most popular are VMware Workstation, Oracle VirtualBox, and Windows Virtual PC. All versions of Linux are free, and Microsoft offers trial versions of their operating systems that students find useful throughout the semester. “We have multiple classes where we use this,” Garza said. “For example in some classes they will use a Linux operating system that they would need to identify file systems, which are the pathways communicating from one file to another. They need to learn both the Windows and Linux Operating systems. Both operating systems have a GUI or desktop environment which makes it easy to navigate, the users can simply click and drag around on icons and folders in the desktop. Currently focusing on receiving her certificate and then associate degree in telecommunications, Crystal Martinez says she plans to work as a field technician for companies like Spectrum. STC, she said, enabled her to work with cutting-edge technology that prepares her for her future career. Students who are interested in learning more about how to use virtual machines contact Bruce Griffiths at 956-872-6106 or griffib@southtexascollege.edu. 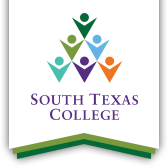 Students who would like information on pursuing a degree in the Computer and Advanced Technologies Program can contact Meliton Hinojosa at 956-872-6128, via email at meliton@southtexascollege.edu or visit the program on the web at http://bt.southtexascollege.edu/cat.